In need of some preening I booked a day off work and arranged some beauty appointments for my mum and myself. Destination of choice was one of my favourite Edinburgh Beauty Salons: The Makeup & Beauty Studio. A day off work and some quality time with my mum and a few beauty treatments thrown in = Perfect. My mum opted for a Botox Treatment – sshhhhhhh! it’s a secret but I’m just gonna you know post it all over the internet! The Botox Post will follow soon once the results are visible. I decided it was time to sort out my caterpillar eyebrows with some HD loving (patch test required in advance) and add some va va voom to my lashes with a lash lift and tint. The lash lift and tint was suggested by Christine as an alternative to Lash extensions “something I wouldn’t pick at or fidget with” she knows me well! The above photos show me before and after. Perfectly defined brows created using the HD brow techniques and my own natural lashes looking the best they ever have thanks to the lash lift treatment. The lash lift includes a perm from the roots of the lash and a tint and would be 100% ideal for holidays. 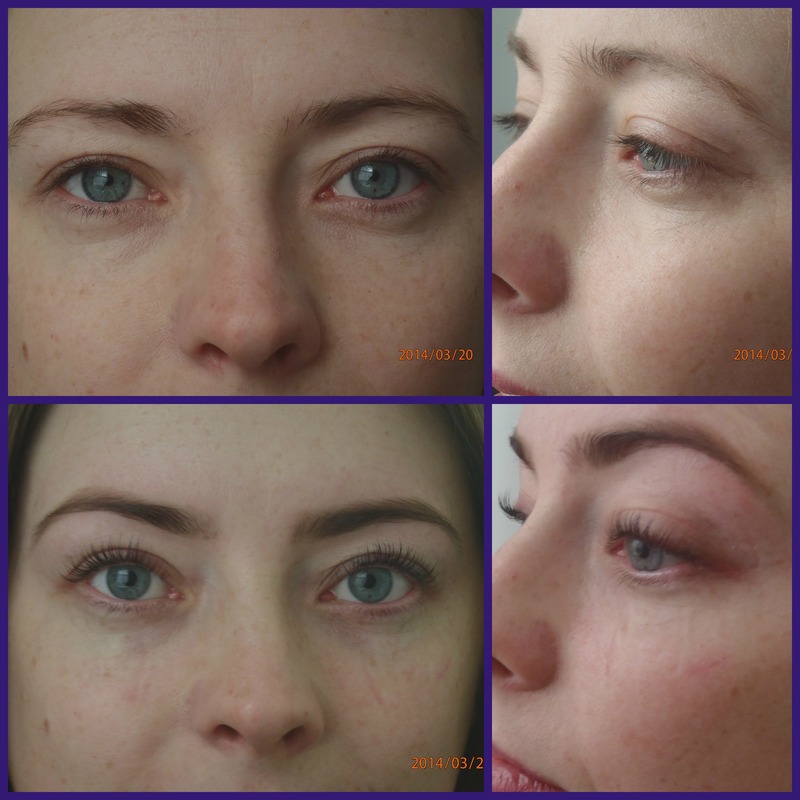 The HD brow treatment costs £30. The makeup and beauty studio do a full range of bow treatments. If you feel HD isn’t for you I’m sure something else will be. The lash lift treatment costs £55. They do a wide range of lash treatments from a basic tint to full on lash extensions. They are also the only UK retailer of Lash Republic Strip Lashes – I love love love these! (My previous post about lash republic). I always feel in very capable hands when I visit the studio and I love hearing about the new treatments they have on offer. Why not book some treatments in with a friend or two and enjoy a day of gossiping, beautifying and relaxing!